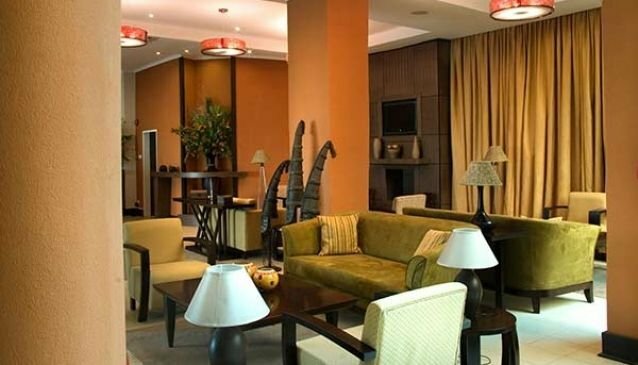 Located within the Arcades Shopping and Entertainment Complex on Lusaka's Great East Road, Protea Hotel Lusaka is an ideal hotel for businees guests and tourists with one or two nights to spend in Lusaka before heading off to other destinations. The hotel offers an outdoor swimming pool, an onsite restaurant and bar and a 24-hour reception. The Arcades Complex boasts a number of restaurants and a modern cinema complex as well as shops and boutiques. A Sunday market is held in the parking lot where tourists can buy beautiful local art and crafts. There is a shuttle service available to Kenneth Kaunda Airport, located less than 20 km from the Protea Hotel.